After all, Uttarakhand NEET-UG counseling dates are declared. Many of the students are waiting for the counseling for medical seats in Uttarakhand. So now the Uttarakhand Govt. declares the counseling dates for 170 medical seats in Uttarakhand state. I got many emails and comments from many students who were asked me about when the counseling of NEET-UG will be held. The counseling was not held due to the flood disasters in Uttarakhand. And the CBSE shows 15% of the all India Quota counseling letter was sent to candidates. But as of now Uttarakhand medical govt. has declared the some dates for counseling. The Counseling is to be held on 19th July to 24th July 2013. But the main dates are not confirmed right now. So now I think candidates will become ready for the counseling, because the counseling will be held on this month of July 2013. 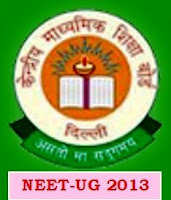 For more details about the NEET-UG Counseling check the website of Uttarakhand portal which is http://uk.gov.in, and browse the recent updates tab on this site. For more updates about exams and results stay connected with our site or you may follow us by your email id.